Naturally, I have quite oily skin, but when the weather starts turning cold, my hands always seem to suffer, and I find them drying out quite quickly. This is even more true, when I'm handling paperwork and books, which I often do. So, I decided to buy myself a Hand Cream, and to be honest, I didn't go in there, with any intention other to buy one that was reasonably priced. 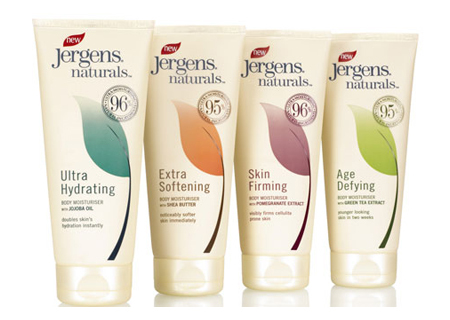 And, effectively, I only chose the Jergens one (initially) because it was reduced in Boots (by 89p, I believe), and I knew that Jergens was considered to be a good brand. First Impression: I opted to buy the Ultra Hydrating Moisturiser since my hands were really dry, and I was instantly impressed by the packagings claim to contain "96% natural ingredients", and on further examination of the ingredients list, it was so refreshing to actually know what the majority of the ingredients are, instead of being overwhelmed by the scientific name of weird and wonderful(?) chemicals, that I have absolutely no idea what they are, or what their purpose even is. I definitely support products that aim to use natural products, because I strongly feel that we need to seriously move away from the chemical-culture that the beauty industry has sunken into, as much as possible. Packaging: Weirdly, I quite liked the packaging, even though it's not really any different to other types of Hand Cream. I just liked the lack of colour except for the leaf that representing the range that the Hand Cream came from (in this case Ultra Hydrating, so the leaf was green). It was simple, and the addition of the "96%" information to the front was a good move, because it inevitably draws people in for all the right reasons. Initial Thoughts: When I first used this product, I actually thought that is was going to be a bit too greasy for me, but for a product that claims to be ultra hydrating, it does make sense to be quite greasy. 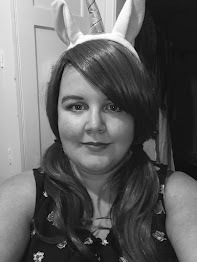 However, despite being a little too greasy initially, I was impressed at how quickly the product absorbed into my skin, drying almost instantly, and sorting out my dry skin pretty much straight away. Smell: The Hand Cream smells absolutely divine. I really loved the smell, and I found myself smelling my hands because I liked it so much. There isn't really much else you can say about smell! Overall: I've been using this Hand Cream for nearly two weeks now, and I have to say that I am very impressed with this product. I'm finding that I'm not needing to use the moisturiser very often, as it keeps my hands hydrated for a really long time. I've also noticed that my hands feel a lot softer than they did with my previous hand cream. I would definitely recommend this Hand Cream to anyone who suffers from really dry hands, especially during these really cold months. My boyfriend suffers from exceptionally dry skin, thanks to working with Frozen Food in the past, and I mean so bad, that he has to get special cream from the Doctor. 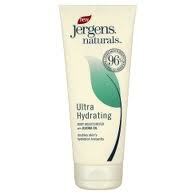 But, he's been using the Jergens Hand Cream for me, and whilst it obviously doesn't clear up his skin like his Prescribed Hand Cream, it really soothes his skin better than a lot of other "off-the-shelf" Hand Creams, so he was quite impressed.